A souvenir booklet is now available. The booklet is currently exclusively available to customers of taking the trip to the windfarm aboard Defiance. The booklet is to accompany the windfarm tour, which summarises the detailed information givenduring the trip. The booklet contains over 60 photographs taken during the construction of the windfarm. The photographs are sperad over 44 full colour pages, making it simple to flip through to find the information. Contained in the text is the background of the project and how Rampion fits into the overall energy stragtegy in the UK at the time. The timeline of the construction with descriptions of the processes that helped bring about the finished windfarm. Techincal information on the turbines, including dimensions, are alongside operational criteria. Operation of turbines in general are accompanied by a description of their operation, which can differ from other turbines. The photos include many of the main construction vessels that were visible from shore between 2016 and 2018. The booklet identifies many of the boats, who they where working for as well as their role in the construction. 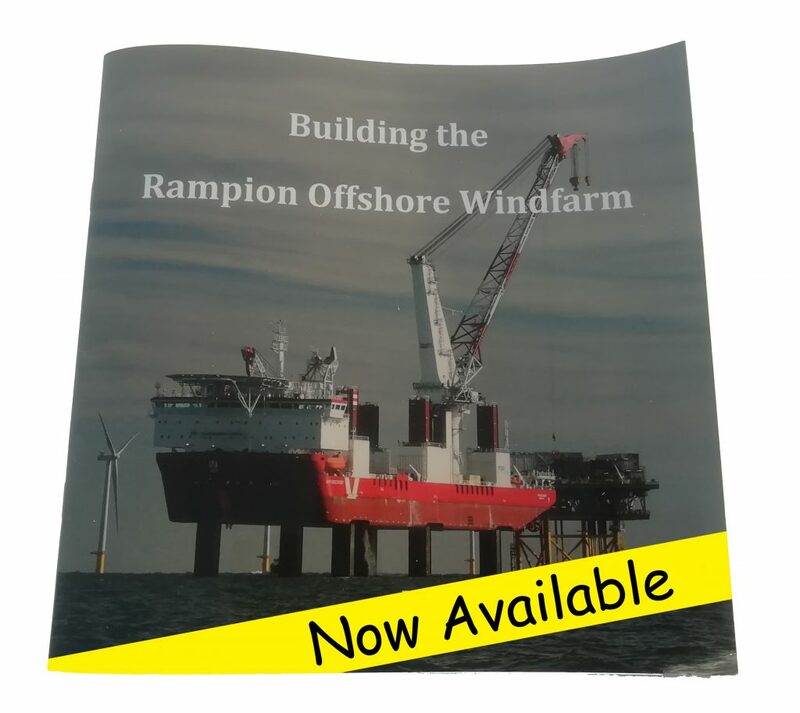 The book cost £7.50 and available to new and existing visitors to the windfarm aboard Defiance.